Recently, the chemical industry has struggled to find significant growth, and since the bottom of the current cycle (2009), the industry has only managed to improve margins by just over 3 percent.1 But today, there is new optimism among chemical companies. The industry appears to be turning the corner and, hopefully, entering a period of increased profitability and greater growth. However, that benefit is not a given. The extent to which chemical companies succeed in unlocking that value will depend on how those technologies are applied—and companies would do well to use them to transform sales and marketing and get closer to the customer. Indeed, about half the potential value identified in the WEF study lies in two customer-related areas: digitally enabled offerings/business models and advanced customer interactions. This is not to say that chemical companies do not focus on their customers today—they do. But the customer-facing landscape is changing, and companies will need to transform sales and marketing to keep up. In essence, three disruptive trends are driving the need for new ways to think about and approach customers: changes in customer demand and expectations; the emergence of new competitors in the industry; and the rise of new sales and marketing platforms for chemicals. One of the key changes taking place in markets today is the shift from individual consumption to the sharing economy—with the most prominent example of this being ridesharing services that are likely to reduce car sales and the need for repairs. This in turn is likely to affect the chemical industry’s sales of coatings and plastics to the automotive sector. At the same time, we are seeing mass production give way to mass personalization in many of the industries served by chemical companies, from automotive and healthcare to agriculture and consumer goods. For the chemical industry, this is likely to lead to increased complexity in providing products to customers, and the need to re-shape the supply chain to provide the increased flexibility needed to support downstream product customization. Additive manufacturing, or 3D printing, is already used in some industries to provide personalized versions of products, and chemical companies will need to develop more innovative materials for use in 3D printing processes. In addition, some chemical companies are already exploring ways to use digital technologies to enter new lines of business. For example, one company is providing biomechanically optimized insoles that can be 3D printed for individual customers. While the technology brings challenges as well as opportunities, its potential is underscored by the fact that more than 15 chemical companies have now taken equity stakes in 3D printing companies.3 Furthermore, today, 35 3D printing companies are classified as chemical manufacturers,4 and as they grow, they could present a competitive risk to traditional chemical companies. Meanwhile, many industries are exploring the growing customer interest in buying outcomes, rather than products. Automotive companies are planning to provide not only vehicles, but “mobility as a service.” Industrial goods companies are moving to service-based models instead of asset-ownership models. Chemical companies have a great deal of opportunity on this front. Instead of selling pesticides or water-disinfecting chemicals, for example, some are moving toward offering guaranteed crop yields or certain amounts of clean water. To succeed in delivering outcomes, chemical companies will need to have an in-depth understanding of end consumers’ needs and new approaches to meeting those needs. Rather than working primarily with companies that occupy the next step in the value chain, they will need to create an ecosystem of partners that can work in concert to deliver outcomes to end consumers. Chemical companies that do not make this shift are likely to struggle to sell their “product-only” offerings, and ultimately play a diminished role in the overall value chain. New technology can blur industry boundaries and make it easier for new entrants to compete in a given industry. In a digitally connected world, those new competitors can include new players—and ecosystems of players—that could disrupt entire industry segments. For example, a company called Green Biologics engineers bacteria to produce chemicals such as butanol for paints, adhesives, cleaners and flavors.5 And Genomatica, a biotechnology company, develops bio-based manufacturing processes for producing intermediate and basic chemicals.6 Already, more than 60 synthetic biology start-ups are developing techniques for engineering bacteria to produce fragrances, flavors, paints, adhesives, cleaners and pharma-chemicals7—materials that overlap with the product portfolios of many chemical companies. Over the past five years, funding for synthetic biology startups has increased threefold to more than $1 billion, while tech giant Google has been investing in synthetic food products and therapeutics since 2014.8 The involvement of high-tech companies in chemicals has the potential to change industry dynamics, and the way companies need to operate in order to satisfy customers. For chemical companies, closer customer relationships will be critical to staying ahead of these new competitors. More and more technology platforms for sales and marketing are coming on line, and they have the potential to replace traditional channels for reaching customers. In fact, large selling platforms are already being used by some chemical companies to sell their products in specific countries. In addition, a number of startup platforms are specifically serving chemical-industry customers. Molbase, for example, is a China-based integrated e-commerce platform that lets customers order chemicals online.9 Beyond that, there are dozens of other sites that connect chemical buyers and sellers via an RFQ-type process. Some of these sites initially targeted small businesses and laboratory chemical companies, but they have been evolving to reach broader markets. Digital technology is rapidly becoming key to understanding and meeting customer needs in this fast-changing world. However, while the growing importance of digital technology is clear, many chemical companies are not taking full advantage of it. 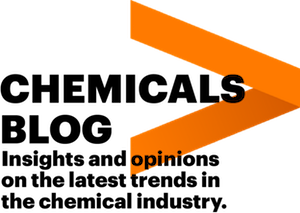 Accenture’s research has found that 40 percent of chemical companies are using digital to increase efficiency, and 32 percent are using it to enable new sources of growth—and only 11 percent are using it in both areas.10 Thus, even among the chemical companies that are leveraging digital technology, many are missing opportunities in one area or the other. That means that they are still operating with legacy approaches to sales and marketing—approaches that favor volume over value, product over service, closed innovation over open collaboration, and development for the next customers’ product cycle over future white-space innovation. Chemical companies clearly have an opportunity to broaden their digital initiatives. To do so, they need to look at technology, marketing, sales and service more holistically, and bring them together to create what Accenture calls the “Living Business.” A Living Business uses technology and data to deeply understand, anticipate and adapt to customer needs. It has human-like characteristics—it is responsive, understands emotions and is ambitious in the pursuit of ongoing improvement and growth. This keeps the company in synch with customers so that it is not just relevant to them, but perpetually relevant. For chemical companies, initiatives in these areas are likely to pay off. History has shown that a relentless focus on maintaining customer relevance is key to thriving in a changing world—and that is now truer than ever. This is the first of a series of blogs to be published in the coming months that will explore these Living Business concepts, and chemicals sales and marketing in greater detail. 1 Accenture Research analysis of financial data for 48 global chemical companies; Capital IQ. 2 “Digital Transformation Initiative: Chemistry and Advanced Materials Industry,” World Economic Forum, January 2017. Accessed on January 15, 2018 and viewable at: https://reports.weforum.org/digital-transformation/chemistry-advanced-materials/. 3 Accenture Research analysis of Capital IQ data. 5 Green Biologics website. Accessed on January 5, 2018 and viewable at: https://www.greenbiologics.com/index.php. 6 Genomatica website. Accessed on January 5, 2018 and viewable at: https://www.genomatica.com/. 7 “Grapeless Wine And Cowless Milk: 60+ Synthetic Biology Startups In A Market Map,” CB Insights, February 22, 2017. Accessed on December 4, 2017 and viewable at: https://www.cbinsights.com/research/synthetic-biology-startup-market-map/. 9 Molbase website. Accessed on January 5, 2018 and viewable at: https://www.molbase.com/. 10 Chemical industry responses from Accenture’s Industry X.0 survey, 2017. 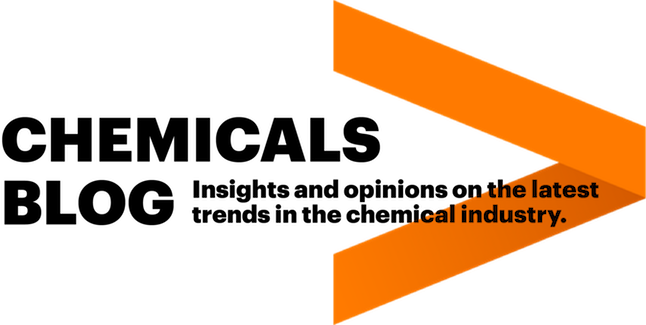 For more on Industry X.0, see Accenture’s report, “Combine and Conquer, Unlocking the Power of Digital,” at https://www.accenture.com/us-en/insight-industry-digital-reinvention. Does your chemical company have a growth strategy for the digital age? Consider four ways to break new ground. Ready to transform into a Living Business? Discover two key tenets to stay relevant to chemical customers. B2B executives consider customer experience to be a critical factor for success. Learn how B2B CX spurs growth.